Is there a good qualified ecstasy treatment center. There are times that a drug makes a ‘comeback’; this is not necessarily because that particular drug is suddenly more potent than ever before, but because of smart marketing by those who offer these illicit substances to people throughout the nation. One of the drugs that has been making a comeback in recent memory is MDMA. MDMA is also known as ecstasy or ‘Molly,’ but rarely (if ever) referred to by its official name 3, 4-methylenedioxymethamphetamine. Because the use of this illicit substance has been associated with the ‘club’ and ‘rave’ scene, people often refer to it as a club drug. Giving a drug such an innocent sounding title might suggest that there is nothing wrong with taking one or two tablets and dancing the night away. However, the fact is that many people do need ecstasy treatment and rehabilitation for ecstasy abuse symptoms. That is why there are an increasing number of ecstasy rehab centers throughout the country. What Type of Effect Does the Drug Have? There is a chemical compound called serotonin in our brain. The use of ecstasy promotes the release of this particular substance from our brain. This will provide the user with some very pleasurable sensations that can last for a long time. In fact, the entire experience that a user goes through can take anywhere between four and six hours. This is from the moment that the user first ingests the drug to the point where they are baseline. One of the reasons that MDMA has become so popular is because it has a quick onset. After snorting the powder or ingesting the pill, it is going to take anywhere between 20 and 90 minutes before the user feels the effects. Between about two and four hours, the effects of the MDMA are at their most pronounced. After that, each hour the effects become slightly less with each passing hour until the user no longer feels those pleasurable sensations. Oftentimes this ecstasy recovery is accompanied by mental confusion and physical exhaustion. When talking about MDMA recovery, it is important to know that the physical reaction to the drug is not likely to be life threatening. The truth is that when taken as a pure substance, MDMA is not known to lead to a great deal of health problems. Users risk overheating – One of the reasons that people seek out treatment for ecstasy addiction is not necessarily because they are afraid of having an overdose, but they realize that using a party drug regularly can lead to problems. Oftentimes the use of ecstasy happens in closed rooms, where people are very close to one another. This might lead to severe hyperthermia, meaning that the user is essentially overheating without knowing it. This might lead to seizures, kidney failure, liver failure or even death. Oftentimes ecstasy is not the only substance that a user ingests either. If they drink alcohol while using, it could lead to the body becoming dehydrated even faster than before. No idea what the purity is – The concept of ‘pure MDMA’ causes many to believe that this is a safe drug. However, while ‘pure MDMA’ might be relatively safe, it is also a pipe-dream. The truth is that oftentimes the people selling the drug are going to lace it with other substances to increase their profit margins. Because this is an underground, illicit drug, there is no FDA oversight that determines what the manufacturer cuts the drug with. This can be something relatively harmless like Benadryl or caffeine, but it could also be something far more dangerous such as amphetamines or cocaine. 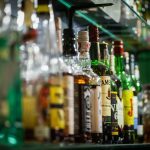 Despite the fact that it is often portrayed as a party drug, those who abuse the substance often face many of the same issues that people who abuse cocaine and amphetamines do. This does include a mental and physical dependence on MDMA, meaning that ecstasy treatment is needed. Ecstasy negatively affects brain serotonin neurons. These play an important role in regulating appetite, sleep, memory and mood. While one study only noted limited cognitive decline in users, other research suggests that continuous heavy use may lead to persistent memory problems. The psychological effects may include paranoia, anxiety, problems sleeping, depression and confusion. This may continue for weeks after the user last ingested the substance. Some of the physical effects include the aforementioned increased heart rate and blood pressure, sweating, chills, faintness, blurred vision, involuntary teeth clenching and muscle tension. The majority of users (60 percent) report experiencing withdrawal symptoms after long-term use. These withdrawal symptoms include trouble concentrating, depressed feelings, loss of appetite and fatigue. 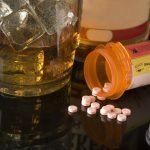 This is why professional ecstasy rehab can allow people to avoid a relapse, because they can help manage and minimize these issues. Even though MDMA is a popular substance in the midst of a comeback right now, that also means that treatment for MDMA is more important than ever before. Even though the terms MDMA, Molly and ecstasy sound innocent enough; the fact is that this drug can still lead to dependence, and can still lead to serious physical or mental issues. It is important to get away from the idea that this is a drug that people use ‘just for fun’, and it is important that people understand that this is not something that makes you hip. The number of people who need treatments for ecstasy should be indicative of this being a genuine problem. It is important to understand that just because this is not as dangerous as some of the other drugs that people can form a dependence on, it still has risk to the user. If you or someone close to you regularly abuses ecstasy, it is important to look into MDMA treatment. While there are many ecstasy treatment options available, studies show that those treatment options for ecstasy that focus on long-term change are not only more successful at warding off an immediate relapse, but also help create a base for long-term sobriety.